In the first six months of 2017, Indian Christians were harassed, threatened or attacked for their faith in 410 reported incidents (248 in the first quarter) – almost as many as the total for the whole of 2016 (441). This is according to figures compiled by partners of Open Doors, the global charity which monitors the treatment of Christians worldwide to produce an annual World Watch List of the 50 most difficult countries for them to live in. Last year, India was at its highest ever on the List – at no. 15; it looks set to rise higher in 2018 if present trends continue. 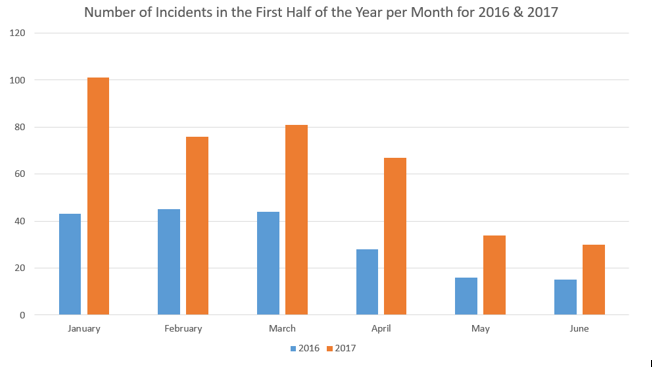 In January, April, May and June the number of incidents this year were more than double that of 2016. In February and March the number is nearly double that of 2016. There were two killings in the first half of 2017. Eighty-four incidents were of violent assault (by Hindu extremists in 99% of cases): most beatings were severe. In 32 of them, Christians would have died if timely medical-aid had not been provided. In 37 incidents, victims were socially boycotted, or threatened with it, by Hindu villagers if they didn’t change their religion back to Hinduism. The number of incidents against Christians in the six-most-populous Indian states has also been recorded. The increase in persecution incidents in India has never been at such a great rate, say analysts. In Maharashtra, which last week passed a bill to criminalise social exclusion based on religion, caste or race, 80 incidents against Christians were recorded (32 last year). In Chhattisgarh, one of five states to have an ‘anti-conversion’ law, 122 incidents were recorded (72 last year). 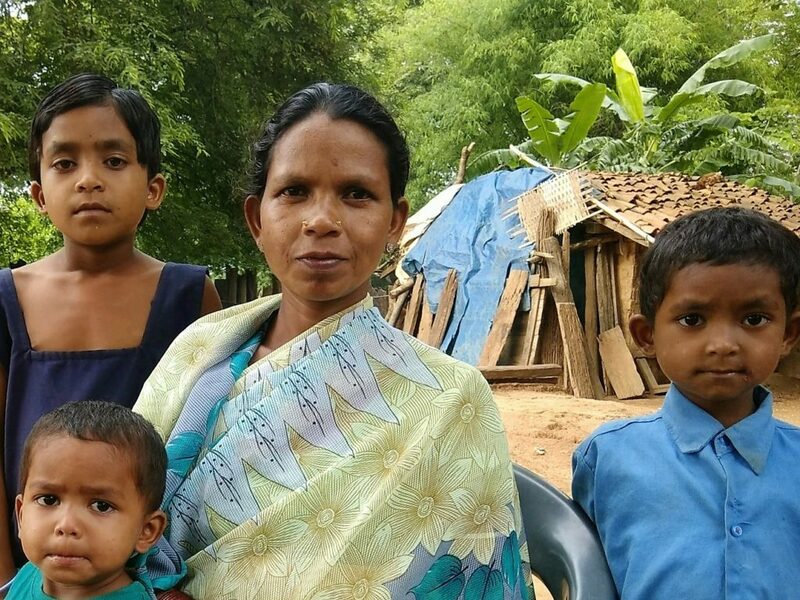 This week, Jharkhand is the latest state to bring to its Parliament a bill for a similar “anti-conversion” law. Although the current ruling party, the BJP (Bharatiya Janata Party), talks about secularism and unity, the background reality is that it is a centre-right party built as the political wing of the RSS (Rashtriya Swayamsevak Sangh). RSS, a Hindu nationalist organisation, is widespread and openly upholds Hindu values and a conservative agenda. So India is in a process of “Hinduisation”, born from the “Hindutva” ideology (literally: “Hindu principles”) of nationalism, which holds that the Indian nation can be a cohesive and aspiring force only if the tenets of one religion, one culture, and one nation are maintained. The BJP, led by the federal Prime Minister Narendra Modi, rules many states. Modi categorically denies persecution of Christians or other minorities. During a TV show he said he has no knowledge of the burning of churches or other types of persecution3. It has been said by an official linked to Hindu extremists that India should be “free of Christians by 2021”. 1. Pastor is chased out of the community. Church members not allowed to contact him or to leave their village and worship with other Christians. 2. Extremists prevent Christians from participating in the society. They are not allowed to have a government job, trade, draw water from the well, buy food and other products from local stores or even to talk to other people in the village. 3. As the numbers show, physical violence happens more frequently too. Families are threatened, Christians are beaten up, girls and women may be raped, children may be kidnapped. 4. At some point, the Hindu priest will come to indoctrinate Christians, to remind them that they were born as Hindus and to persuade them to come back to the religion of their community. 5. If they still resist, they are often forcibly taken from their house, pushed into a Hindu procession and dragged to a temple. There they have to bow to idols, recite scriptures and are often smeared with cow dung and/or cow urine (to “cleanse” them). 1964-1996: 38 incidents. Violence against Christians and other minorities scarce. (1980s until 1996: BJP had only two seats in parliament). 1996: BJP won the elections for the first time, but government didn’t last very long. 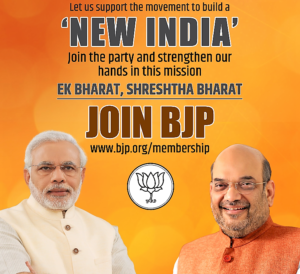 1998: BJP formed a coalition, the National Democratic Alliance. 2004: the BJP and their coalition partners suffered a surprising defeat. Violence against Christians decreased. 2014: BJP in power; an immediate rise in persecution incidents. “This is an alarming trend,” an Open Doors spokesman said. “Hinduisation of India continues to be the main reason for the increase of persecution of Christians in India. If it continues to be forced, violence against Christians and other minorities will increase too. Despite Prime Minister Modi’s denial of Christian persecution, India’s Christians have lobbied him to bring in a new law to stop targeted violence against religious minorities. The National Council of Churches in India (NCCI), which represents 14 million Protestant and Orthodox Christians, said in an open letter to Mr Modi that they are “exasperated” that “state and central governments are not taking severe action against the different expressions of vigilantism,” adding that “mere words of condemnation are not enough”. 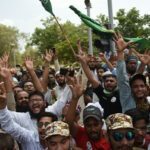 In July, the Indian Minister of State, Hansraj Gangaram Ahir, said in parliament: “I don’t think there is a need for a separate law,” when talking about a mob lynching, adding that existing laws can deal with it. The NCCI letter, which comes in the wake of the July murder of a church leader in Punjab state, urged the Prime Minister to “not only enact the law but also implement it,” or use existing laws to punish the perpetrators, said Roger Gaekwad, NCCI General Secretary. 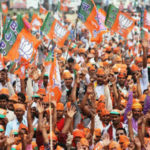 Gaekwad had also written to Modi on Good Friday (14 April), criticising the Prime Minister’s electioneering slogan for a “new India”, Achhe din aane waale hain (“good days are coming”), saying “many people who belong to your government, party, and other like-minded bodies give us a different picture of Achhe din …where the [constitutional] values of justice, liberty, equality, and fraternity are stifled. Vigilantism has become a popular methodology of such persons and bodies”. Meanwhile 101 Indian Christian intellectuals have signed an open letter to the Catholic Bishops, expressing concern about the country’s move away from secular democracy to Hindu nationalism, and the consequent undermining of the country’s constitution, urging them to join the struggle to protect constitutional values. “The political process taking shape today is against every fundamental humane and constitutional principle of equality and dignity of every Indian … Indeed it is evil,” the letter said. The intellectuals point to collusion of the state in acts of violence on minorities. “Official machinery often seems to be working in tandem with the vigilantes. Street lynching, victims charged as accused, stage-managed trials; all on the basis of religious and caste identities. The Church needs to act before it is too late,” the letter urged. Also, India’s Catholic Bishops are encouraging all Christians in India to mark 10 August as a “black day” to highlight discrimination suffered by Dalit Christians in India for 67 years. On that day in 1950 the president signed a constitutional order saying only Hindus could be considered a member of the “scheduled” caste (i.e. disadvantaged people, referred to as Dalits in most Indian states), and so allowing only Hindus access to constitutional benefits, such as jobs given through a process of positive discrimination. The order has since been modified to include Sikhs and Buddhists, but not Christians and Muslims.